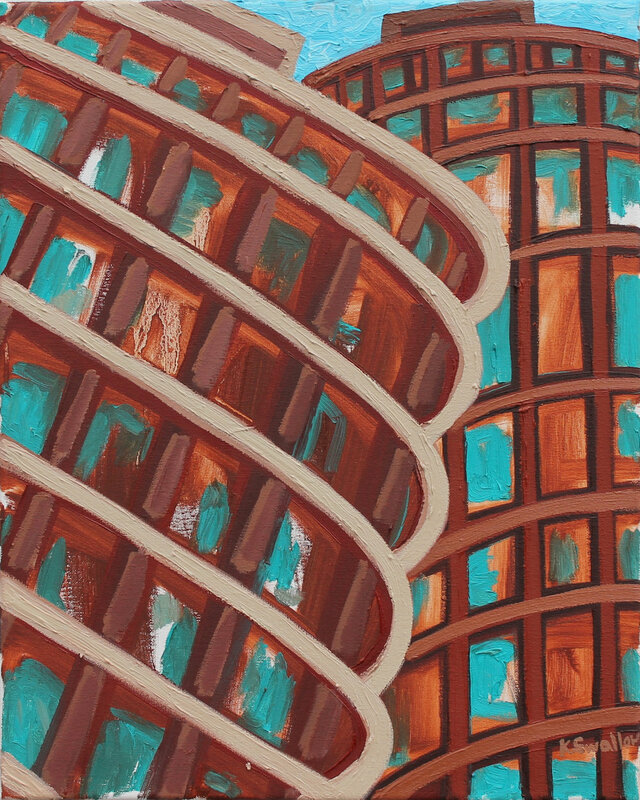 I've gone back-and-forth working on these Marina Towers paintings over the last 6 months or more and now they're done! The Marina Towers buildings are a couple of my favorites and are very unique architectural gems. Created by Bertrand Goldberg in the mid-60's, they were meant to be a 'city within a city' with modern conveniences and to help bring people back from the suburbs to live downtown. Located along the Chicago River, I always try to find different vantage points to admire Marina Towers.